Below is a list of everything you need to get started for a mortgage loan. There may be items on the list that do not apply to you. The USDA loan program is a government loan sponsored by the U.S. Department of Agriculture.  With this program, many rural families and individuals are eligible to become homeowners with little or no money down even with limited credit histories. To find out if a property is eligible for the USDA program Click the link below and then click on Property Eligibilty/Single Family Housing. FHA loan programs are particularly beneficial to those buyers with little or no cash. The rates on FHA loans are generally market rates, and while there are down payment requirements down payment assistance is available to pay the entire 3.5%. Most mortgage financing plans provide only permanent financing. That is, the lender will not usually close the loan and release the mortgage proceeds unless the condition and value of the property provide adequate loan security. When rehabilitation is involved, this means that a lender typically requires the improvements to be finished before a long-term mortgage is made. In the current market many of the numerous foreclosures sit on the market in disrepair due to vandals, theft and neglect. To lenders of traditional loans those properties are considered poor collateral that they’d prefer not to lend on. However, for FHA 203K loans the loan is based on after repair value and includes an escrow account to complete the repairs needed to bring the house to a condition that lenders prefer. That means that the current condition of the property is not as important as the condition of the property once the renovation is complete. This provides an outlet to purchase dilapidated properties, many of which have spent extended periods on the market due to the lack of availability to traditional financing, and solves the problem that most lenders face when dealing with property in disrepair. What this means to the home buyer is generally a significant discount to “as-is” value and, quite often, a fantastic deal on a house. How Can FHA 203K Loans Be Used? 1. To purchase an existing home (and the land attached to that home) to renovate it. 3. To purchase an existing home with the intent to move it to a new piece of land in a more preferred location.